It doesn’t feel good being stuck with a network and limited functionality really frustrates. Every one should have freedom to choose their desired network whenever and wherever they want.If your ZTE Avid trio is in multi year contract with the T-Mobile that means you didn’t buy ZTE Avid trio unlocked. Fortunately, their is a solution for you. Now you can easily get T-Mobile Avid Trio sim unlocked. You are not gonna unlock T-Mobile ZTE Avid trio for free but with us this service is very cheap and hassle free and you’re not gonna regret it. We offer you the SIM unlock APP solution for your T-MOBILE ZTE AVID TRIO device at the best online rates by which you will be able to use your T-MOBILE device with any SIM card of any network worldwide. You can also Unlock MetroPCS ZTE Avid 4. How To Unlock T-Mobile ZTE Avid trio? While Avid Trio is a pretty awesome device but being stuck with a network is not very good.The best way to sim unlock ZTE Avid trio is by T-Mobile ZTE Avid trio sim Unlock App Solution. You don’t have to struggle for that, just fill the above form by writing IMEI of your T-Mobile ZTE Avid trio, your email address and your name, and we’ll take care of the rest. Unlock your ZTE Avid Trio and get rid of sticking to just a particular network in your phone. The process is quite simple. The details on how to find IMEI number of your phone are discussed. How To Use T-Mobile ZTE Avid trio Unlock App Solution? When you go through purchase and we receive your order, we’ll process it and forward to T-Mobile unlock portal and after some time we’ll send you an e-mail with unlock confirmation.After receiving our e-mail you would need to go in to unlock app and select permanent unlock and after processing is done you’ll get ZTE Avid trio network unlocked and ready to use any where. The advantages of unlocked ZTE Avid trio are that you get your freedom to choose any network and nothing is more important then freedom. 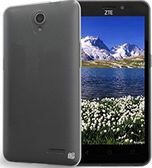 You also expand resale value of ZTE Avid Trio. You can check more benefits of unlocking your phone here. There are no risks in this unlocking process because this unlocking process works remotely and gets initiated from official channels i.e from manufacturer or from network carrier. You can read more on risks involved in unlocking process here. Why Unlock Your Galaxy S7 By LetsUnlockPhone.com? On LetsUnlockPhone.Com, we do every thing we can for customer satisfaction and do our best to serve you. We are specialist when it comes to unlocking phones with unlock app whether your phone is from T-Mobile, metropcs or EE(england).